On Tuesday and Wednesday, April 9th and 10th, the 4th ENGINITE Transnational Project meeting took place at the Cyprus Interaction Lab (CUT), in Limassol, Cyprus. The meeting had a two-fold goal: (a) to collect the live feedback of the trainers about the innovative ENGINITE pilot training programme, and (b) to conclude on the project’s next immediate steps. During the first day of the meeting the Dr Andri Ioannou (Project coordinator, Cyprus University of Technology) presented an overview of the project and the successful milestones achieved to date. In continuation, Dr Yiannis Georgiou (Project manager, Cyprus University of Technology) gave a thorough overview of the ENGINITE training programme implementation phase in Cyprus and in Greece. Importantly, he presented meaningful statistics, produced by a systematic data collection process during the training programme implementation phase; these analytical statistics highlighted the training programme value and usefulness, along with challenges faced, as these have been assessed by the trainers and trainees in both countries. The most important part of this Day 1 meeting, was the implementation of a live focus group. The aim of the focus group was to critically reflect and assess the project’s strengths, weaknesses, challenges and opportunities using the SWOT analysis tool, as these have been evidenced post implementation by all partners. Reflections are a basic tool under the PBL pedagogy; thus, the consortium has reinforced the root of the ENGINITE training programme, into the sessions of the 4th ENGINITE Transnational Project meeting. In particular, each partner had adequate time to go over their experiences as trainers and mentors, as well as to exchange views with other partners. All feedback, along with a detailed analysis of the data collected from the trainees, will be consolidated in the project’s final report. Day 2 sessions were devoted for the Project Coordination purposes. The whole team followed the next project steps, and have commonly agreed on the next deliverables. 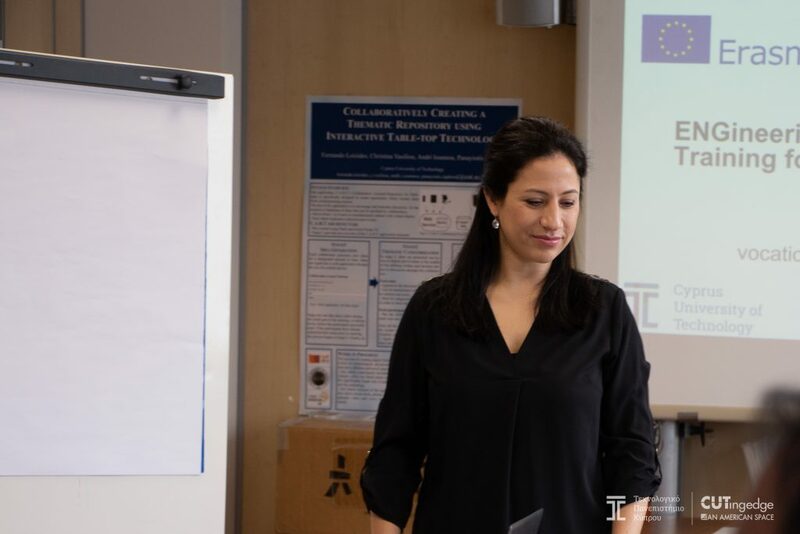 Mrs. Christina Achilleos (EU Funding Consultant, GrantXpert Consulting) as the project’s Dissemination and Quality Assurance Leader, also presented the next milestones to be accomplished which will also be the final activities before the official project ending in October 2019. (https://www.facebook.com/EnginiteErasmus/) for receiving more news and updates about the project!